Dec 11 – is to be eternally remembered for that iconoclastic freedom fighter - born in a small village called Ettayapuram on Dec 11' 1882 ~ the man who breathed freedom struggle. He was on the run – still his indomitable will and his concerted action mobilized masses, making them aware of the need for freedom in the Southern India. 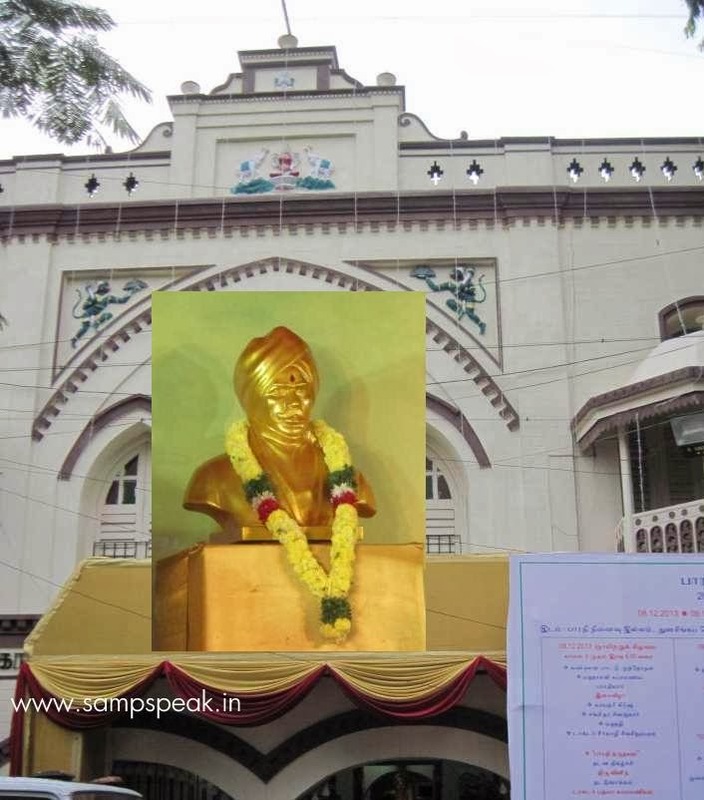 Today, we remember Mahakavi Subramanya Barathi…. The greatest of modern poets who acclaimed that ‘writing poems is his profession’ – but lived the life of fighting for independence. The Swadeshi movement, which gathered momentum following the Partition of Bengal, drew Bharati deeper into nationalist politics. He attended the Calcutta Congress in 1906, where he met Sister Nivedita to whom he dedicated two early works in Tamil. Bharati edited the nationalist Tamil weekly, India, which articulated the militant Indian nationalism of Bal Gangadhar Tilak. The revolutionary poet had a flair for languages. He was proficient in Sanskrit, Telugu, English, and French. He wrote with felicity in English. The poet was closely associated with many Swadeshi leaders in the south, including V.O. Chidambaram Pillai. When the British Raj clamped down on the Swadeshis, he took refuge in Pondicherry in 1908; Aurobindo and V.V.S. Iyer also sought shelter there later. In 1920, Bharati returned to Madras to rejoin Swadesamitran. He met Mahatma Gandhi and wrote an oft-quoted poem in praise of non-violence. But his last years were tragic and he died in obscurity in September 1921. The greatest poet thundered - All servility, whether of an inherited or acquired character, must be definitely abandoned by men who aspire to guide the affairs of the nation. There are stories that the temple elephant killed him. It is not as though he was killed by the pachyderm with a single stroke. At his prime youth his health had been adversely affected by the imprisonments and the ill-treatment meted during the time of incarceration. The push by the elephant was perhaps was the last straw for the ailing Poet; he survived the incident but died after a few months. At Thiruvallikkeni, where Barathiyar lived – Vanavil Panpattu Maiyam is organizing a 4 day fete concluding day… had written a couple of posts on this earlier. 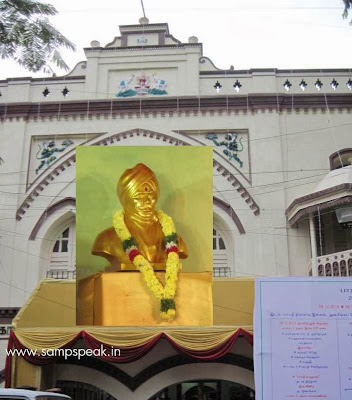 Remembering the great Poet Freedom fighter Mahakavi Subramanya Bharathiyar today. With greatest regards – S. Sampathkumar.